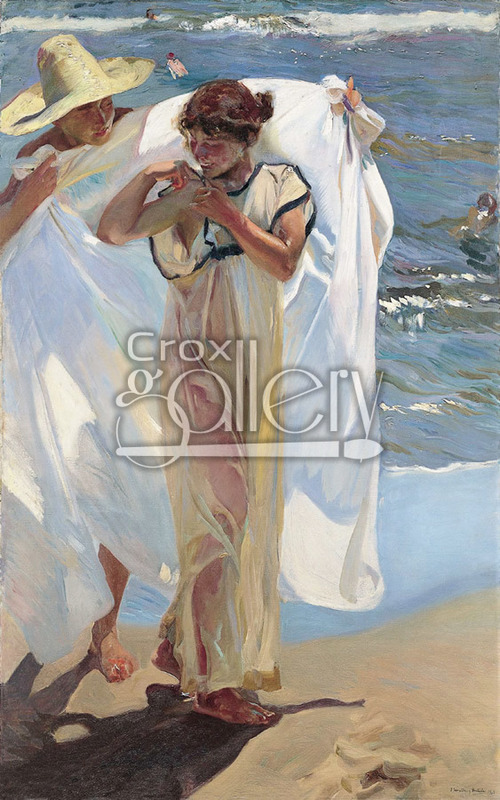 "After the Bath" by Sorolla, Oil Painting on Canvas. 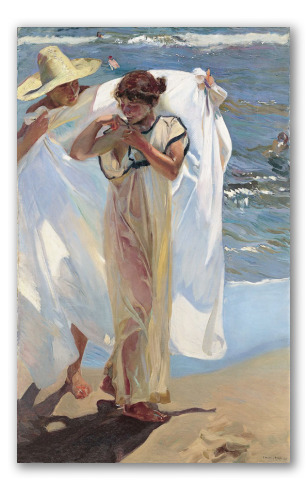 Painting entitled After the Bath by Joaquin Sorolla y Bastida, 1908. This painting displays a young man covering up a woman after bathing in the sea. Both are wearing traditional Valencian attire of the last century.